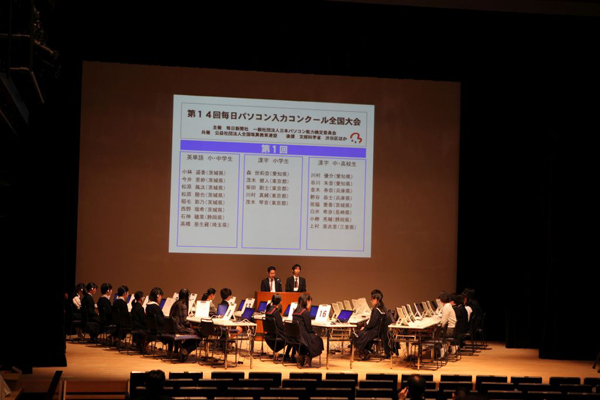 Mainichi Typing National Contest was held at Tokyo in Japan on December 2014. This contest was held in 2002 for the first time and marked the 14th this year. About 70,000 people participated in the online preliminary contest, and about 130 elected people joined this nationwide contest. The prime minister’s prize was awarded to the champion, and the school prize was also awarded to schools that have achieved excellent results. As usual, I took the role of a technical adviser and was in charge of the competition’s proceedings.